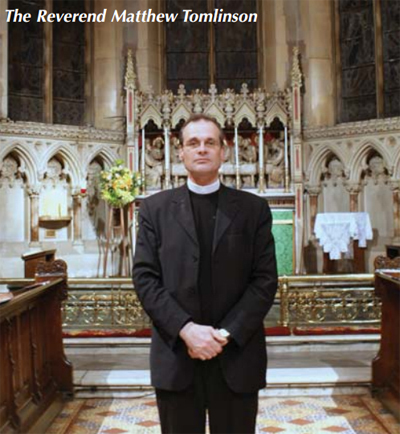 Our Church is a relatively modern place of worship within the Church of England, being consecrated in 1868. 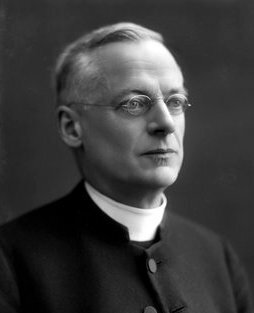 However, since that time, it has seen many vicars and church wardens, has comforted and sustained it's congregations through war and has provided a space for countless services of worship. 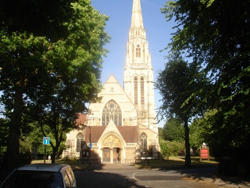 The Church is listed under the Planning (Listed Buildings and Conservation Areas) Act 1990 as amended for its special architectural or historic interest. 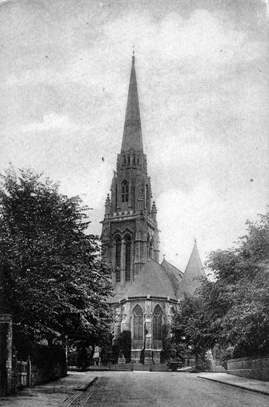 St. Augustine's Church, consecrated in 1868, was the third new church to be built during the nineteeth century in the old parish of edgbaston. 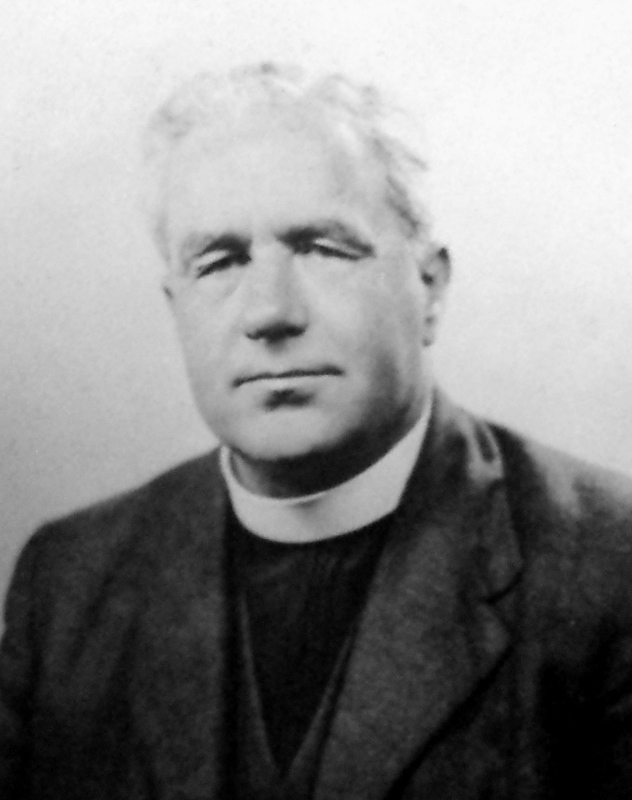 The church was built to a design by J.A Chatwin who was pupil and later assistant to Sir Charles Barry, architect of the Houses of Parliment. 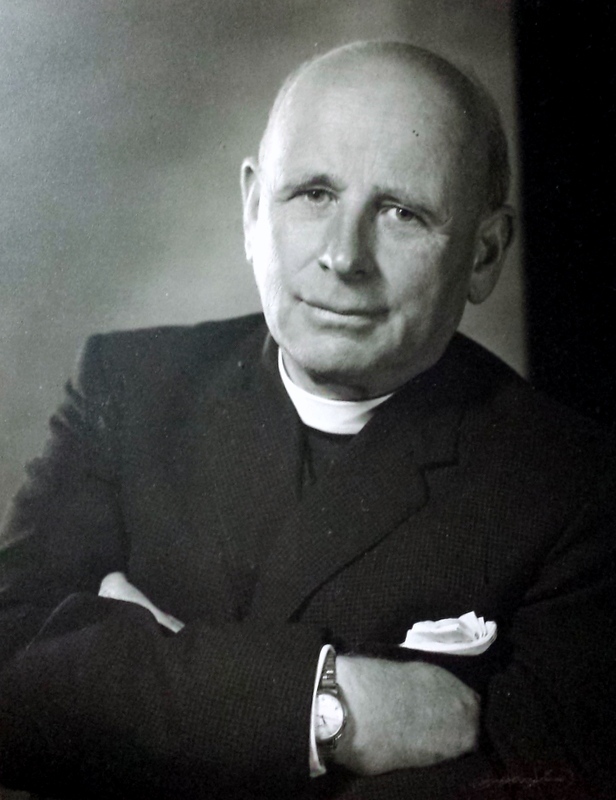 Julius Alfred Chatwin was the architect of many fine churches and other buildings in Birmingham including the rebuilding of St. Martins (Birmingham Parish Church) and Aston parish church. 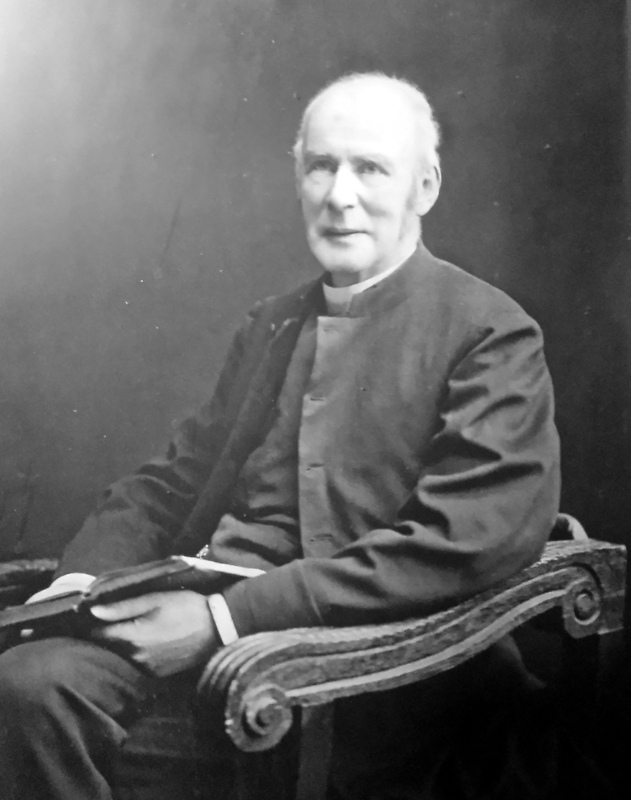 he died in 1907 at the age of seventy-seven and is buried in the churchyard at Edgbaston Old Church. 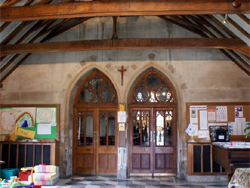 The image above and to the right is a conceptual drawing of the Nave and Chancel from 1866 by the architect himself, J A Chatwin. 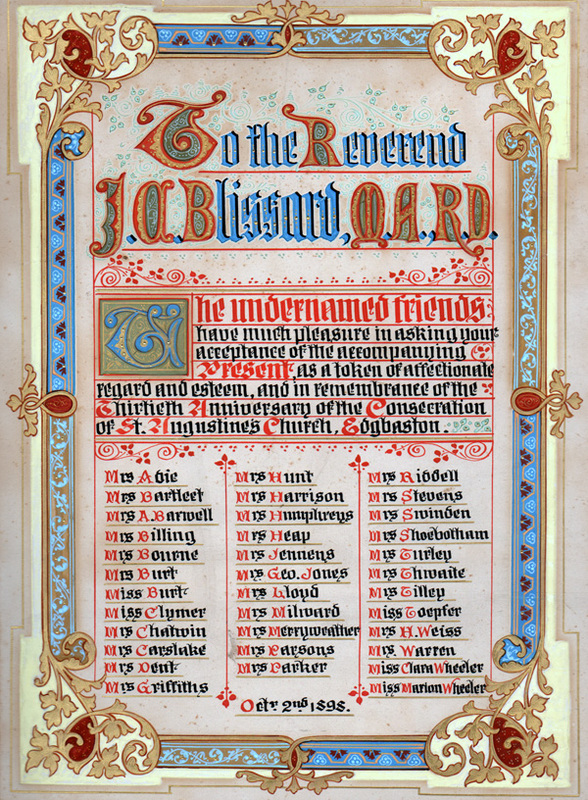 Most of this was executed as seen, including the columns and arches, but the chancel ceiling would be much grander with rich polychromatic colours and gilt painting of Christ in Majesty and surrounded by heavenly angels. 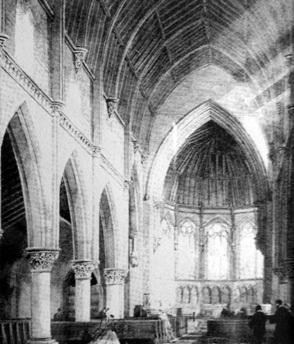 The walls of the Nave were also altered from this drawing, with the Apostle corbels appearing much lower down. 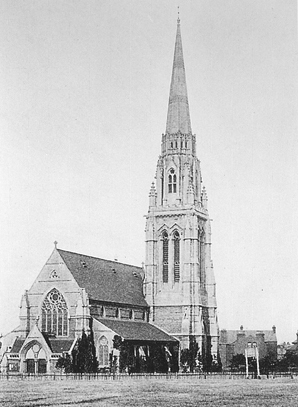 In 1877 the original design of St. Augustine's was completed by the erection of the tower and spire which together rise to a height of 185 feet. 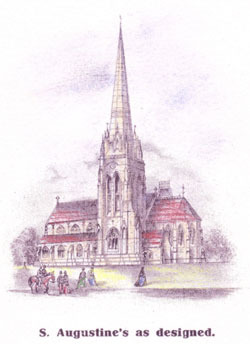 St Augustine's is one the tallest and most beautiful modern spires in the Midlands, and is a landmark for miles around. 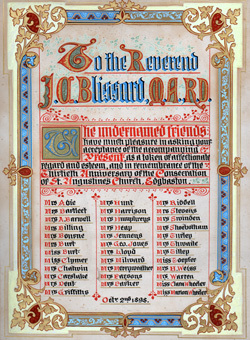 The illuminated address shown above was presented to the first vicar of St Augustine's, The Reverend J. H. Blissard in 1898 to commemorate the 30th anniversary of the consecration of the church in 1868, and his own thirtieth anniversary as incumbent. 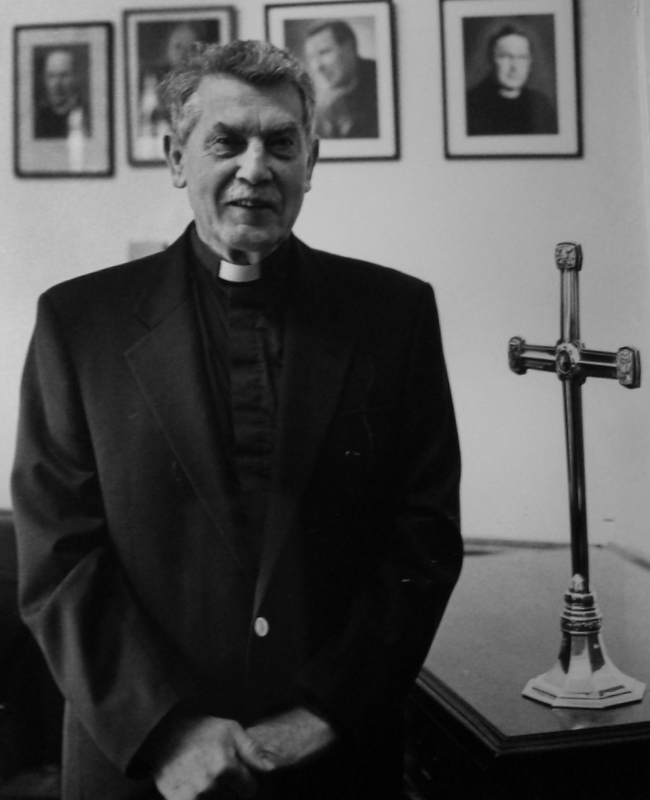 The Reverend Blissard remained incumbent for a further five years before retiring. 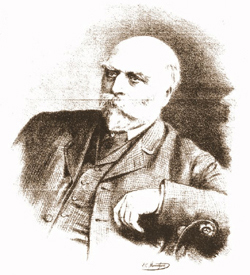 He died the following year in 1904. 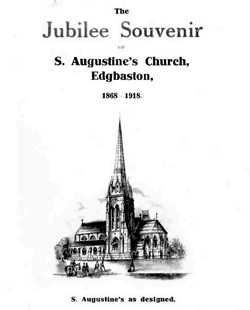 In 1918, a 'Jubilee Souvenir' booklet was produced. 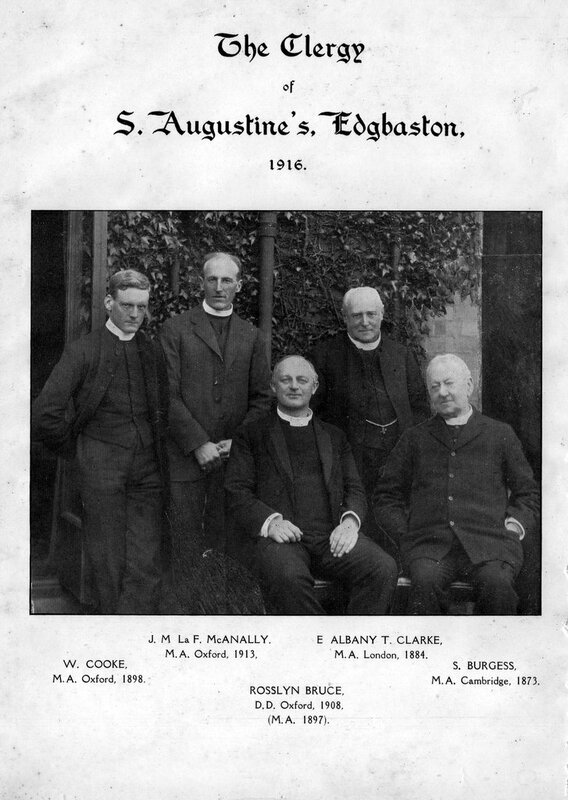 This interesting document provides a wealth of information concerning the building and history of the church, it's vicars, choir and churchwardens. 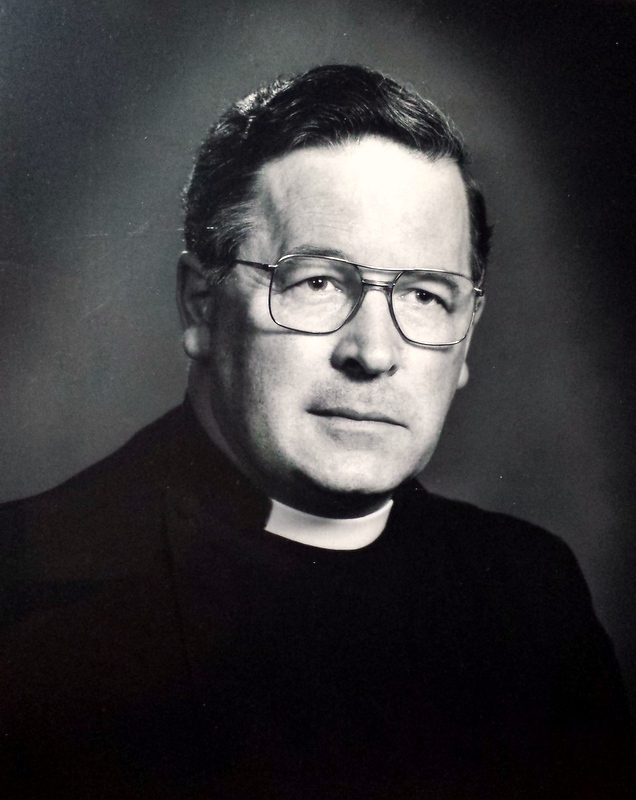 It also provides an excellent insight into the period in which it was created. 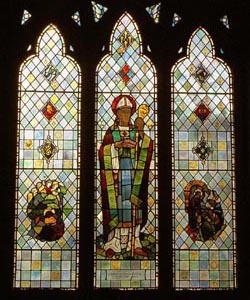 To commemorate the achievement of their church wardens, the congregation of St. Augustine's set a large stained glass window in the South Transept under the tower. 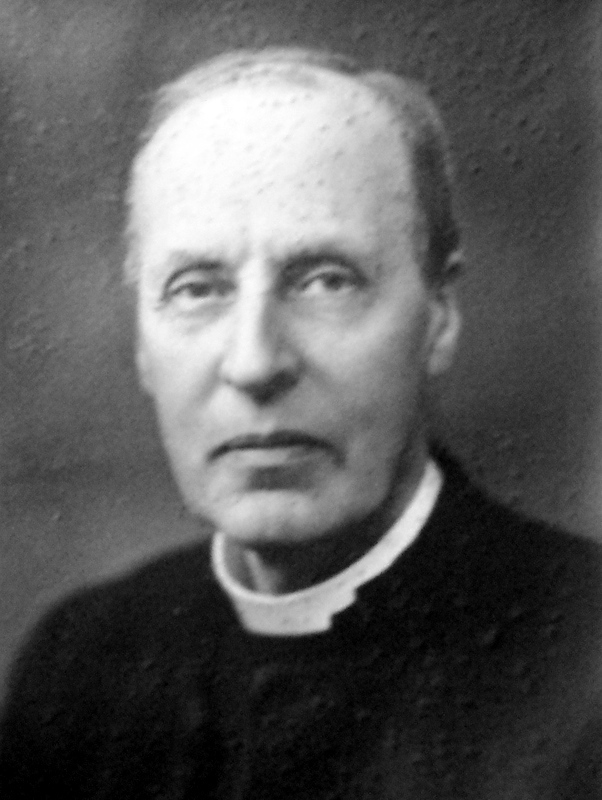 This window was destroyed by enemy action in 1940 and it was replaced by a new window in memory of Canon Lucas (see above), who was the sixth vicar at St Augustine's. 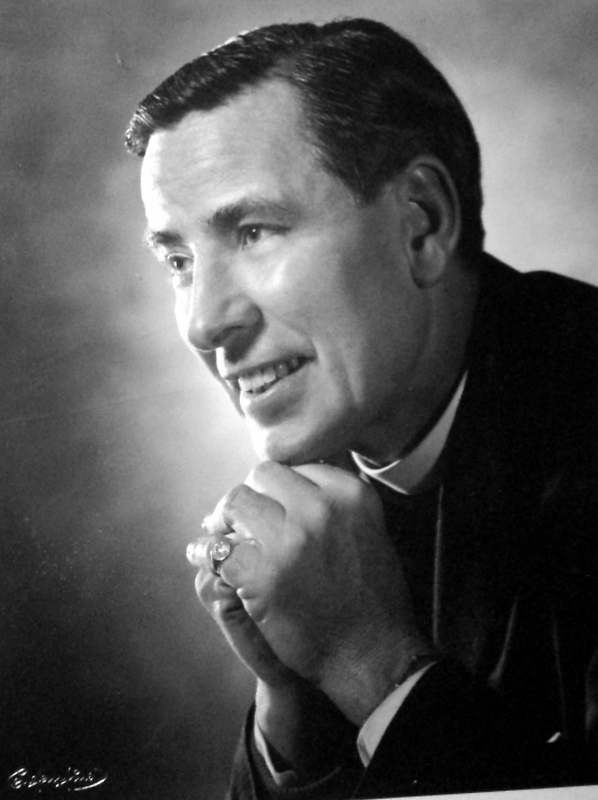 In 1968, to commerate the 100th aniversary of St. Augustines, the building of a narthex was started. 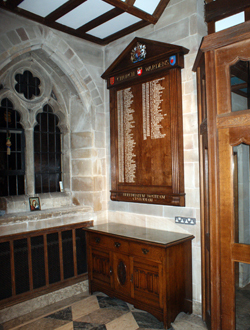 At the Accession Sunday service on the 5th February 2012, Mr Spiro Comis and Mrs Joan Bird (the widow of Gerry Bird) with the Lord Mayor unveiled a newly crafted board listing all of the Churchwardens since 1868. 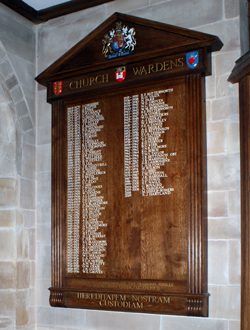 The Churchwardens Board, wrought in solid English Oak, now hangs in the Narthex. 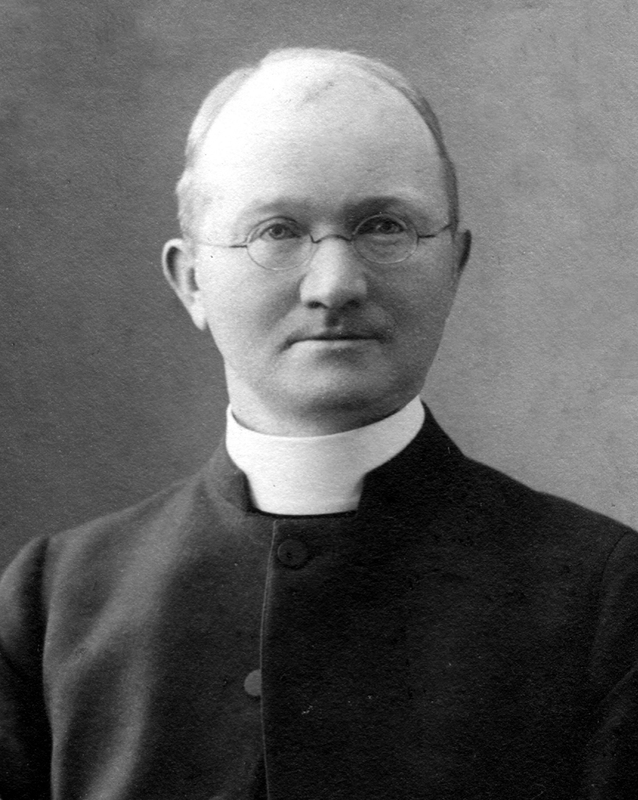 Click on the names below to view images of the vicars of St. Augustine's.